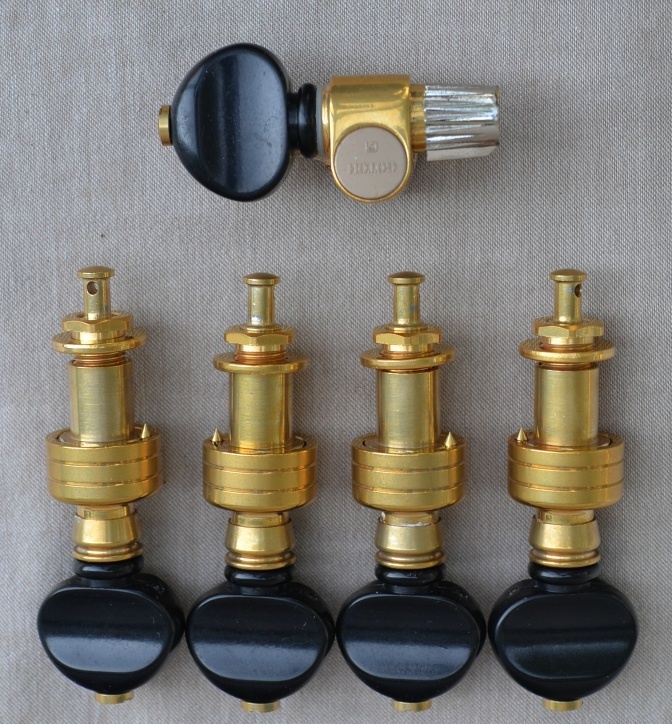 Gotoh (pronounced Go-Toe) tuners are manufactured in Japan with highest quality standards. Their planetary banjo tuners require a 3/8" hole (10 mm) and can accommodate pegheads with a thickness of 7/16" to 5/8". Gotoh Banjo and Ukulele planet tuners quantity discounts are available. Order 5 or more sets of any style (mix & match), you receive a 10% discount. Need more than 5 sets? Please inquire for bulk pricing. Up to a 25% discount. Need just one single peg? No problem. Please inquire. 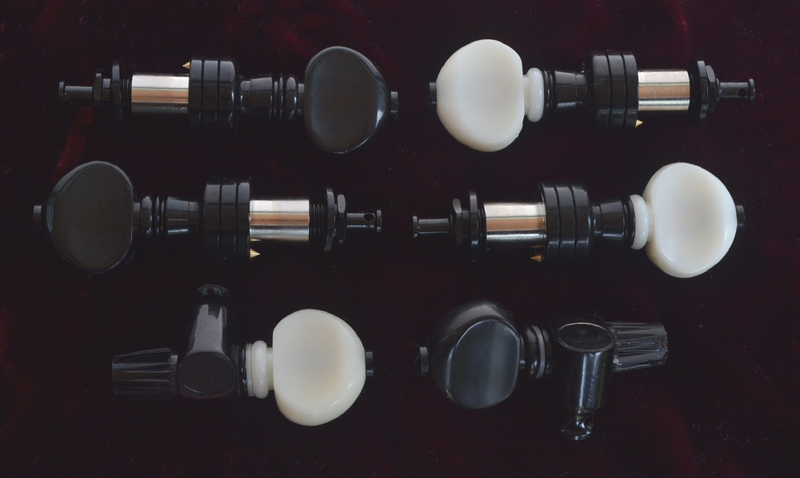 Gotoh 2 Band Planetary Banjo Tuners with black, creamy white, or pearloid knob. 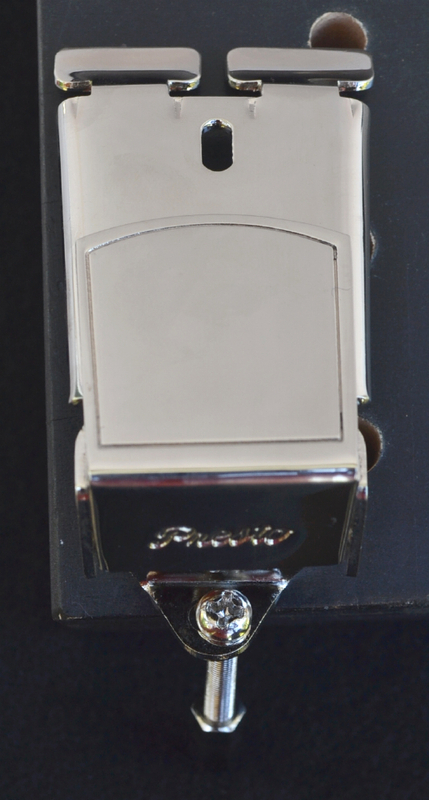 The smoothest banjo tuner made and a very reasonable price. 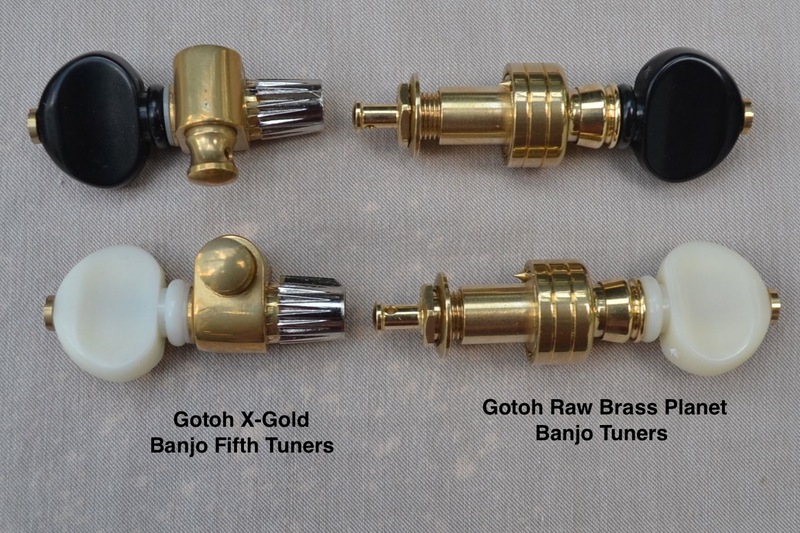 Gotoh Raw Brass Planetary Banjo Tuners. 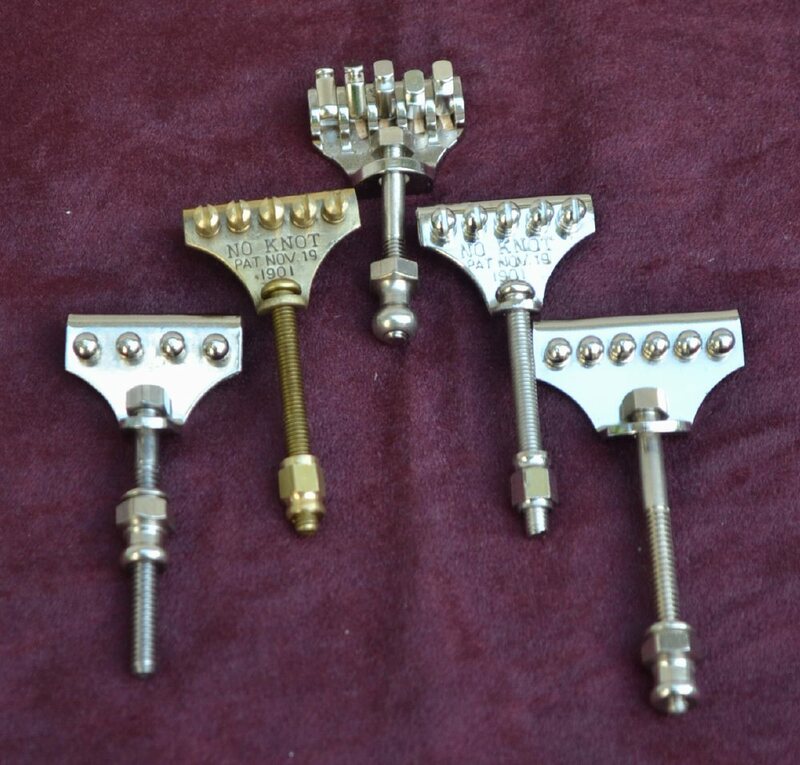 These are the same as our nickel, gold, & X-gold tuners, but without any plating. 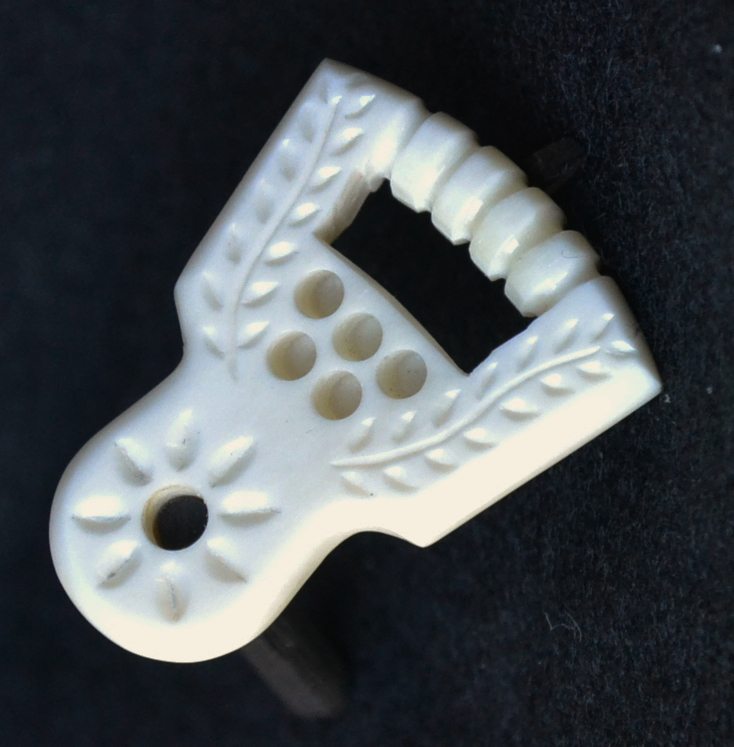 We stock them with Gotoh's black and creamy white knobs. 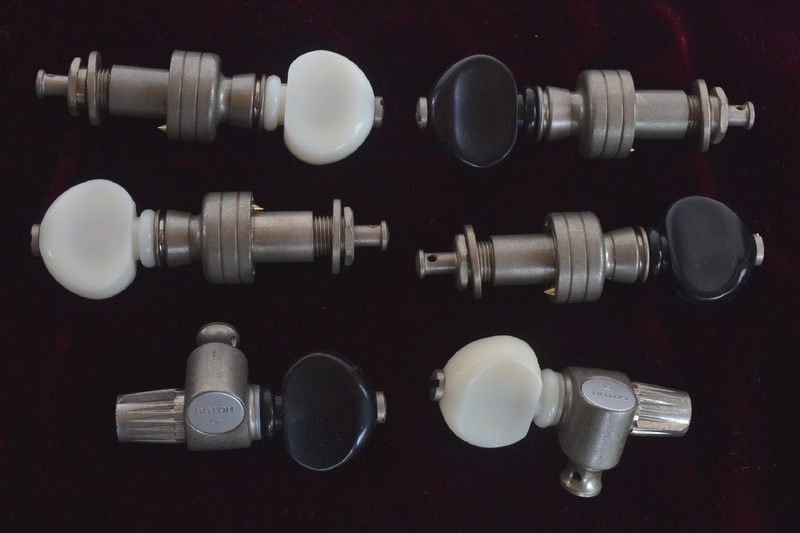 Gotoh Aged Nickel Finish Planet Banjo Tuners. Having noticed that Gotoh does the most accurate aged nickel finish for their guitar parts, we asked them to do the same with their banjo tuners. 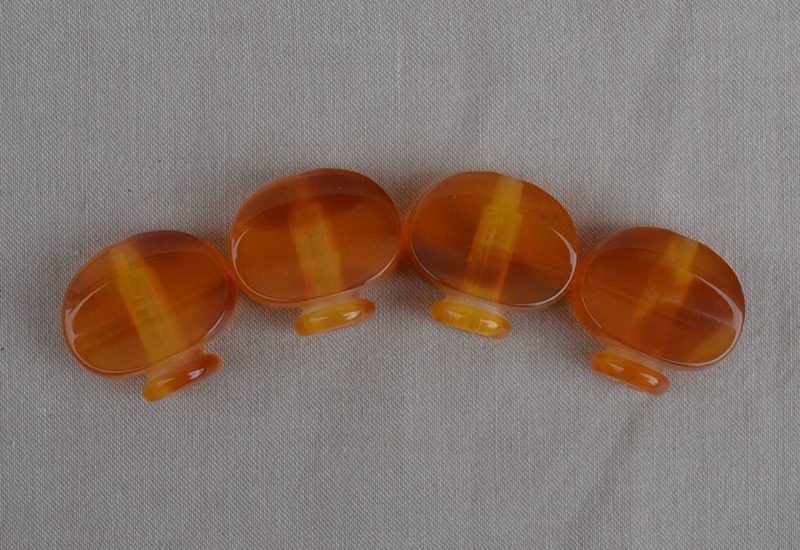 The samples were perfect as are the tuners from our continuous orders. 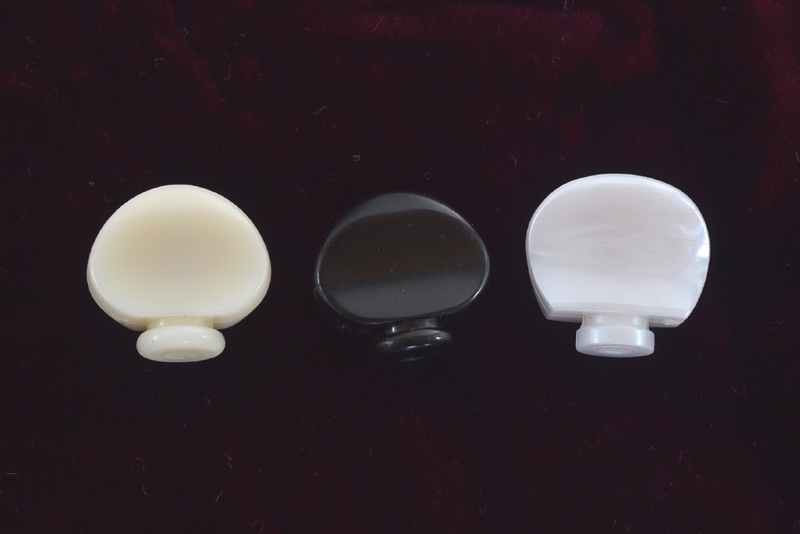 Please specify your choice of Gotoh's black or creamy white plastic knob. 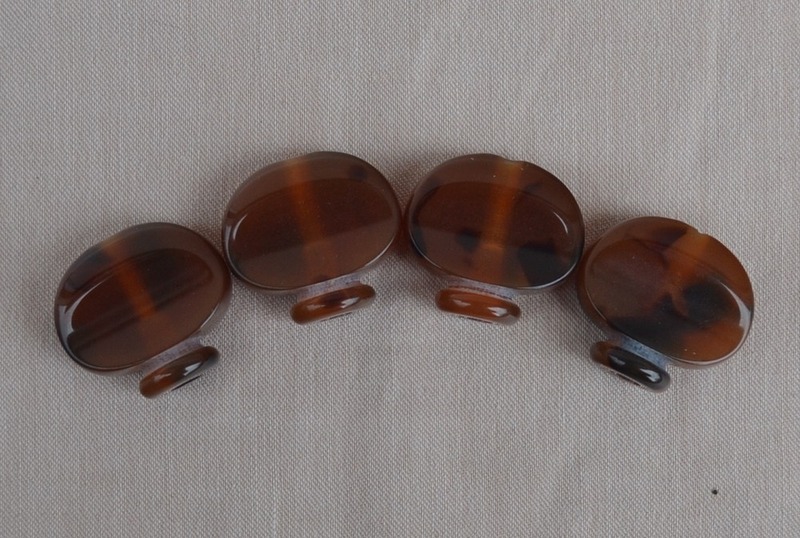 Grained ivoroid, amber plastic, and ebony knobs to fit these tuners are available at additional cost. Gotoh X-Gold Planets & Matching Fifth Tuner. 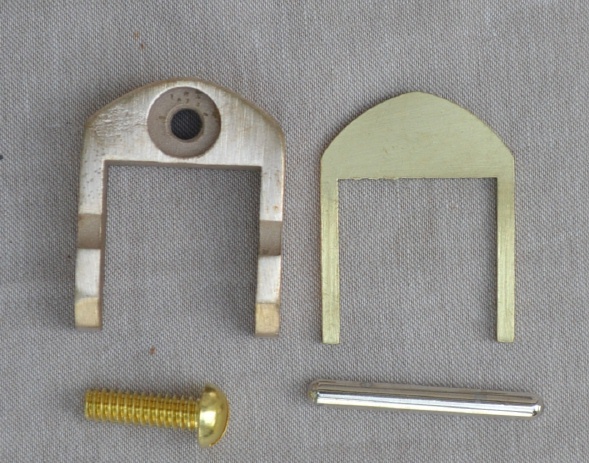 In our quest for the ever-popular raw brass parts, Gotoh suggested their X-gold finish. 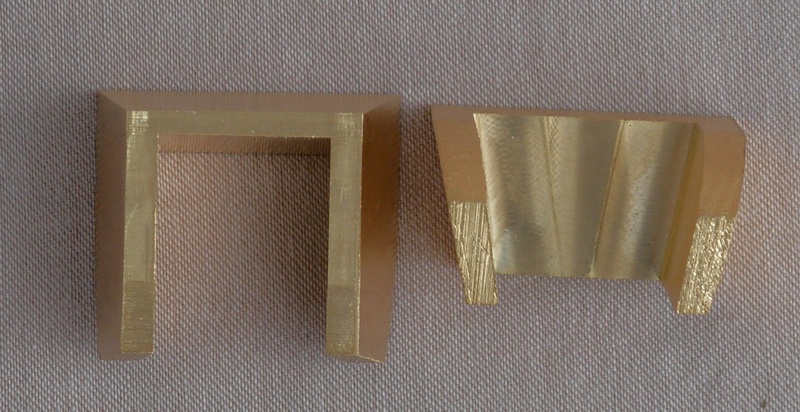 This gold color looks very much like raw brass, but being gold, it is resistant to corrosion and the color will stay the same. Only available here at Smakula Fretted Instruments. Black knob is standard. 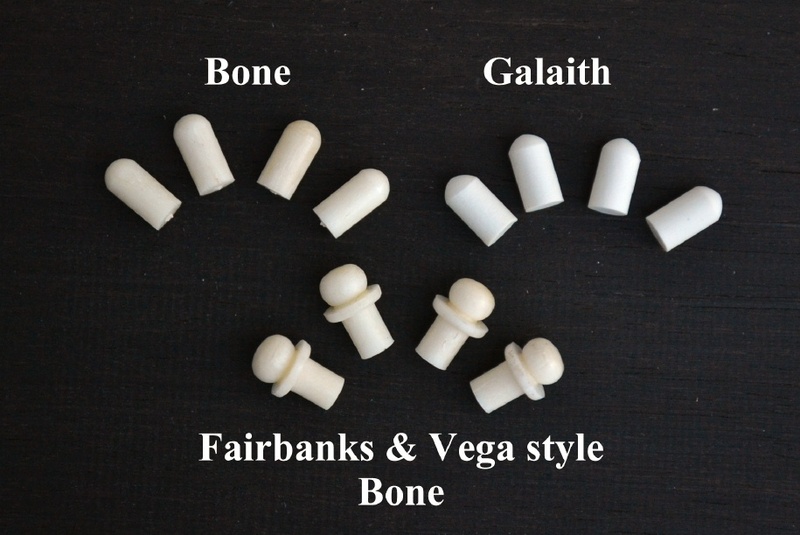 Gotoh's creamy white or pearloid knob can be substituted at no additional cost. Gotoh Black Chrome Planet banjo tuners. All metal parts are black. 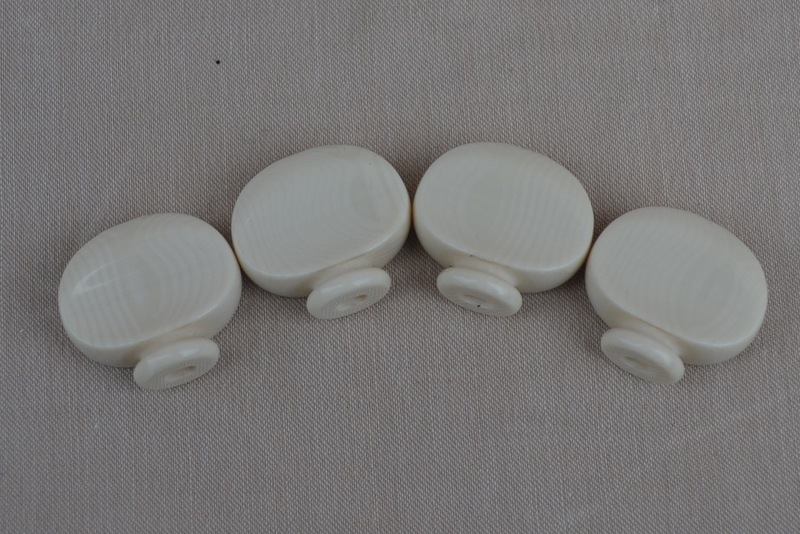 Comes standard with a black or creamy white knob. 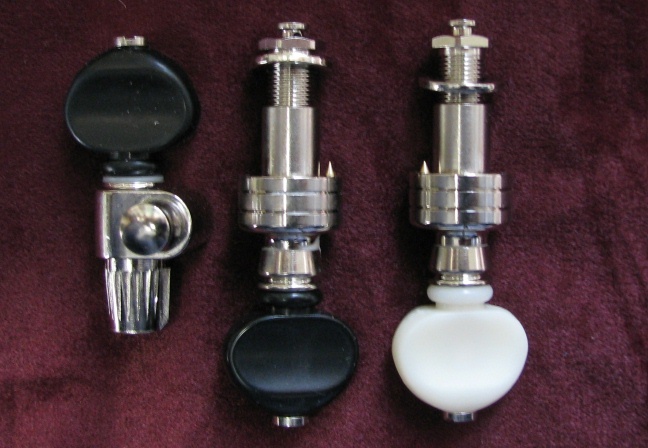 Our custom made long shaft ABM tuners can accommodate 1/2" to just under 3/4" peghead thicknesses. If you need a full 3/4", please request a thin fiber washer to replace the OEM metal washer. For tapered pegheads, as on A.C. Fairbanks banjos, we recommend 2 standard ABM and 2 long shaft ABM. Nickel plated and gold plated are in stock. Sorry, raw brass long shaft ABM tuners are not available. Prices are the same as our standard ABM planet tuners. Please specify standard or long shaft when ordering. Gold plated with pearloid knob; $200. Gold plated with grained ivoroid, imitation tortoise, or amber colored; $210. 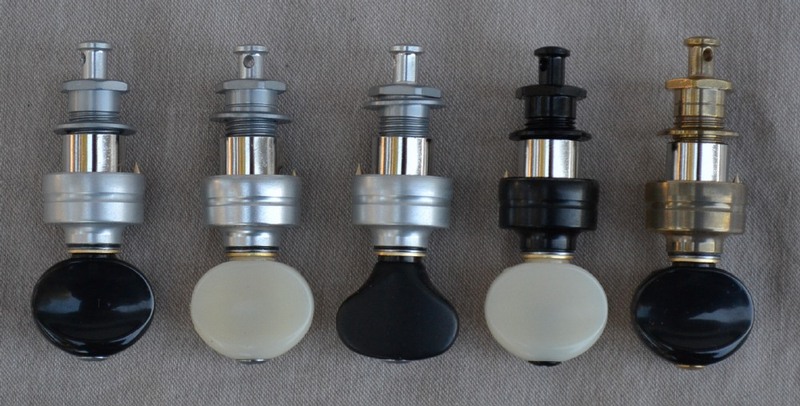 Tuner knobs for banjo tuners; We have them manufactured to fit Gotoh, Waverly, Five-Star, ABM & Schaller planetary and fifth tuners. Gotoh Planet Ukulele Tuners. Gotoh has done it again. They now offer the precision gearing of their 4 to one planet banjo tuners in a smaller, lighter package for ukuleles. Anyone that has struggled with friction tuners on their uke will be grateful to have this non-fussy tuner. Weighing only 58 grams (about 2 ounces) they are significantly lighter than the 140 grams (about 5 ounces) of the banjo planet tuners. Gotoh Planet Uke Tuners require a 3/8" (10mm) hole in the peghead. We stock mostly the UPTL that can accommodate pegheads 13/32" to 1/2" thick. We stock some Gotoh Planet Uke Tuners in the slightly shorter UPT model. They accommodate pegheads 11/32" to 7/16" thick. X-Gold finish, to match banjo ukes with raw brass hardware; $110. No-Knot 5 string tailpiece, made in China, $10 each. 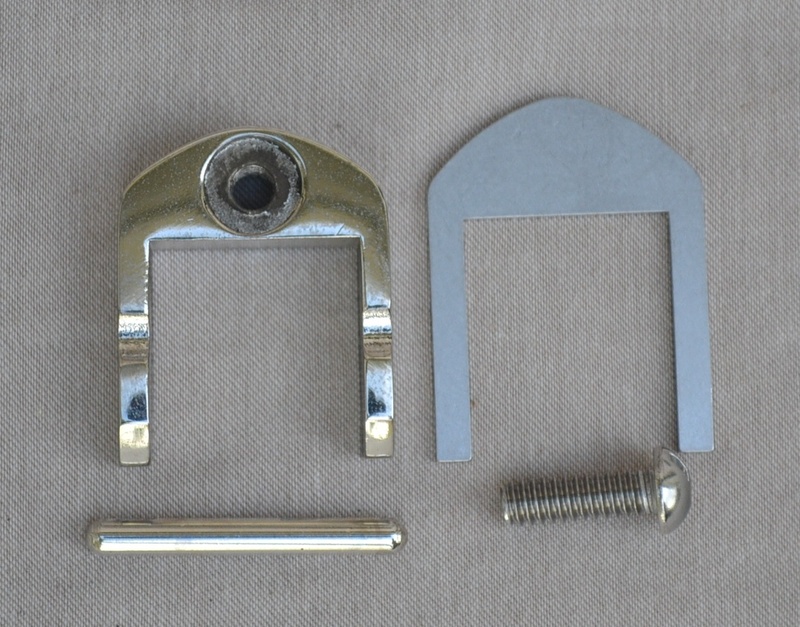 ABM just informed us they are discontinuing the Tensionator tailpiece line. When these are gone, we will not be able to reorder. Get them while you can! 4 string, Nickel plated; $120 Sold Out. Vintage Style wire armrests, unpolished, unplated brass; Made for 11" rims, but can be gently bent to other sizes. $15. Mastertone style, one leg, nickel plated steel, fits 11" rims with 24 hooks. $15. Banjo Bridges; Made in USA by Grover. 2 leg, maple with ebony top for 4-string banjo. Heights available; 1/2", 5/8"; $5 each. Reccommended for Banjo Uke. D'Addario EJ60 Light gauge banjo string set for 5-string banjo; $6.00. D'Addario EJ61 Medium gauge banjo string set for 5-string banjo; $6.00. D'Addario EJ63 Jazz tenor banjo string set for 4-string banjo; $6.00.